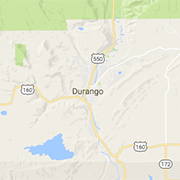 A friendly and helpful staff, convenient location close to town, many amenities, and a variety of lodging options are all a part of the experience at Durango KOA. Today's Hours: Open April 26 to October 15. Pine River Lodge is the perfect Vallecito getaway, whether vacations are for kicking back or jumping into action. Rent a cabin today and take a step into Colorado's beauty.